We've got lots of news this month! 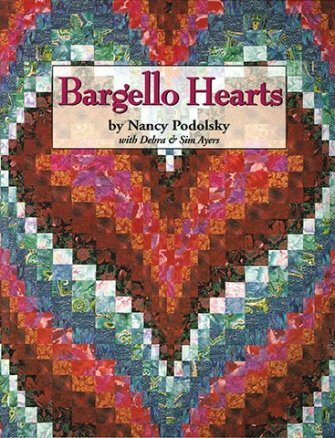 First, we've had a few folks come in looking for a book called "Bargello Hearts". Grandma found it and it's now in stock. So, if you've been looking for this pattern book, stop in. 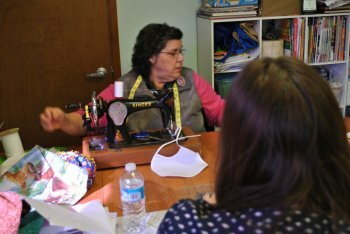 March 11th is the deadline to stop in and sign up for 2 1-day admission tickets to QuiltWeek in Lancaster,PA. We will also be having another Fabric Challenge this month. You can pick up your Fabric Challenge fabric between Monday, March 7th-Monday, March 14th. For this Fabric Challenge Project, we ask that you save a small snippet of your Fabric Challenge Fabrics and put them on an index card or something similar to show which fabrics are your Challenge Fabrics and your own fabrics. Your turn in date will be Monday, May 2, 2016. 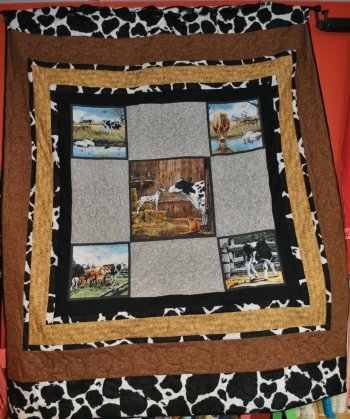 We will display them at the Shop Monday, May 2-12, 2016 and we would also like to take them down to the Quilt Show at the Bidding Barn in Troy, PA on Mother's Day Weekend. As always, Winners will be decided by Popular Vote. 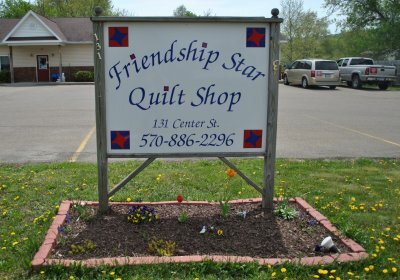 Keep tuned in for more on the Quilt Show at the Bidding Barn in Troy, PA. We will be having an area dedicated to our Shop and customers. 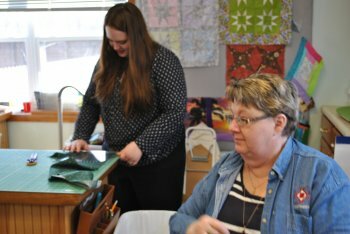 We are encouraging our customers to bring in their past Fabric Challenge Projects for display and any quilts made with fabric from our Shop to be displayed at the Quilt Show on Mother's Day Weekend. This will not be a judging show. 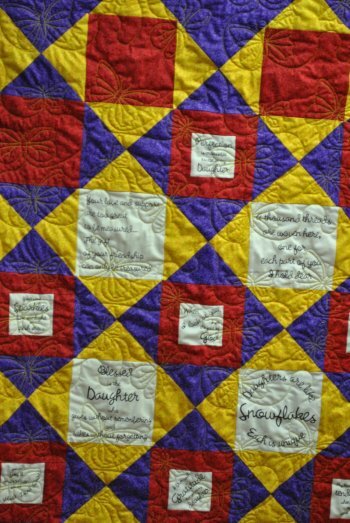 Just a Quilt Show to display and educate the public on quilts and quilting, is my understanding. 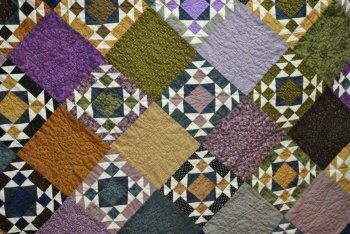 We will keep you posted as we gain more information on this Quilt Show. We would like to say a big "Thank You!" to the ladies that joined us for our Sweet Retreat. Everyone had a great time! My little Boxer puppy friend, Princess Leia, came to with her Mom to Sweet Retreat and we had fun playing until we dropped! 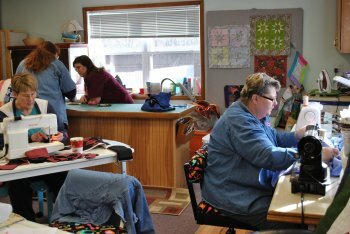 There was lots of good food, friends and quilting going on that day. Here's a few photos of the Sweet Retreat. 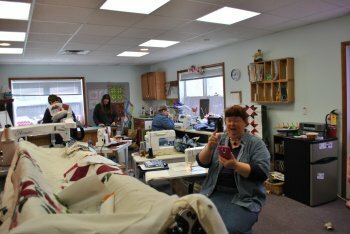 Look at everyone busy quilting! Everyone was sew busy! What a busy day! There was even a hand crank sewing machine! 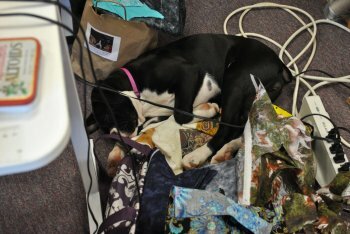 We had some beautiful quilts brought in, too! You know what that means...yep! It's time for a little show and tell! 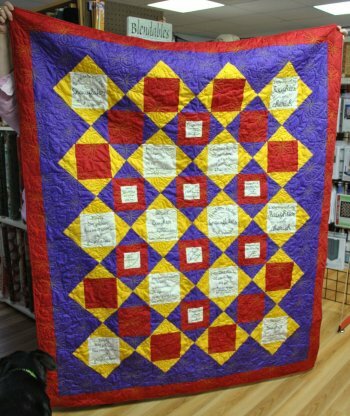 This quilt is created by Sam A. of Towanda, PA area. Didn't he do a great job? 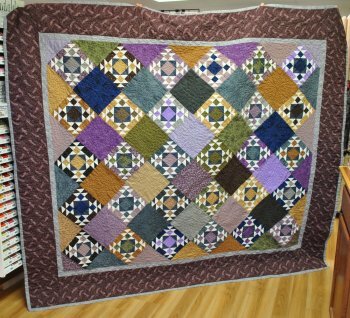 This lovely purple quilt is created by Maureen P. of Chemung, NY area. She's always challenging herself. This was created by Denise A. of Troy area. She loves her cows! And creates beautiful quilts! 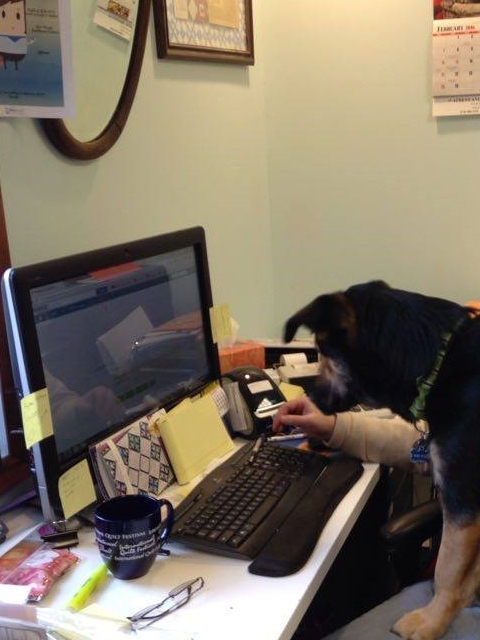 She's also my best doggy friend's Mom! She spoils me, too! 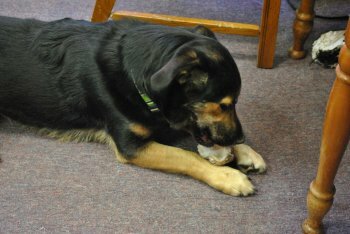 I've been working my paws to the bone today. We've been busy so I've been bouncing between writing the newsletter and greeting all the wonderful ladies that came to visit me today! See how hard I work? Mom makes a great booster seat. The office chairs make me nervous unless Mom or Grandma are in them. We hope you've been enjoying the warm weather and are ready for Spring. We hope you will join us for our Fabric Challenge Project or just come in to see me and check out our great fabrics and notions.